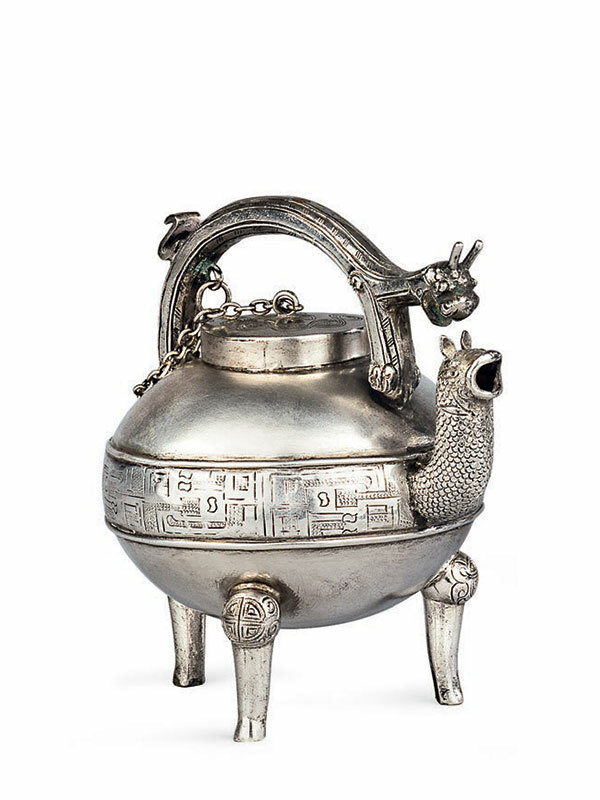 A miniature silver vessel of archaic bronze he form, supported on three short cabriole legs. The ewer has a curved spout in the form of a scaled monster’s head with open mouth and pricked ears. The handle terminates in a further monster’s head, seemingly devouring the other monster. The circular cover is engraved with wavy patterns. The bulbous body is adorned with a band of continuous chi-dragon motifs. The base of the vessel bears the mark Wen (‘sterling’).